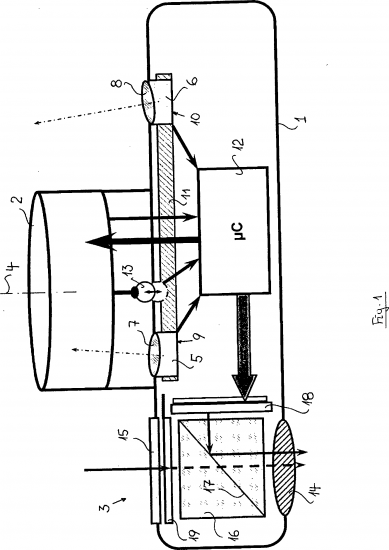 The invention relates to a camera having an optoelectronic range finder, a focusable lens and a visually observable display unit for displaying data and/or images. 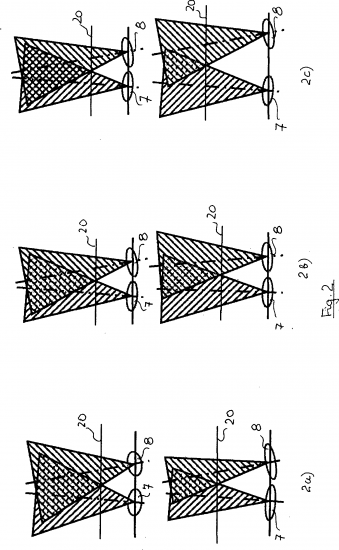 According to the invention, two electronic image recording modules (5, 6) at a distance from one another and having their optical axes aligned to a common target point are integrated into the front surface of the housing (1) of the camera as range finders. A microprocessor unit (12) is present in the housing (1) and connected to the signal outputs of the image recording modules (5, 6) in order to determine the phase difference of the images of the object space recorded by the image recording modules (5, 6) and to compare the determined phase difference to the values stored in a calibration table for the distances associated with different phase differences. Camera with an opto-electronic distance meter, a focusable shooting lens and a visually observable display unit for displaying data and / or images, as rangefinder two spaced and aligned with their optical axes to a common destination electronic imaging modules ( 5, 6) in the front surface of the housing (1) are used to the camera and for determining the phase separation of the image recording modules (5, 6) recorded images of the object space and comparing the detected phase spacing with the values ​​stored in a calibration table the different phase intervals associated distances a microprocessor unit (12) in the housing (1) is provided and connected to the signal outputs of the image pickup modules (5, 6). This entry was posted in Leica M and tagged Patents. Bookmark the permalink. Trackbacks are closed, but you can post a comment.